Turkey’s new Altay main battle tanks, whose manufacturer was just decided in a bid, will be produced very quickly and mostly within Turkey, said the head of the Defense Industries Secretariat on Thursday. Ismail Demir spoke exclusively to Anadolu Agency at the Eurasia Airshow in Antalya, the Turkish Mediterranean — held under the auspices of the Turkish Presidency – where the agency is the Global Communication Partner. 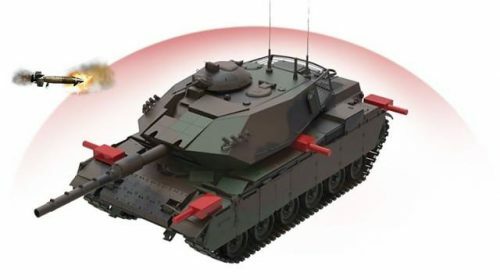 Demir stated they target delivery of the tank within 18 months, with mass production to start with 250 units, adding that the production will be very fast. He said the decision was made to start contract negotiations for Altay’s engine development project with Istanbul-based armored vehicle manufacturer BMC. “The project will play an important role in the armored vehicle sector and will make significant contributions to companies and subsidiary industries,” he added. He also stressed the number of industries and companies to be involved in the tanks’ production, in electronics and software, fire control and stabilization systems, barrel and material technology, ammunition technology engines, and transmission technologies. “The tanks’ production will be mostly indigenous,” he added. The Altay project is Turkey’s first main battle tank development program, which includes electronic command and control systems, a 120 mm gun, and armor, all of which will be made by Turkish defense companies. Altay’s prototype of the tank was shown to the public at a 2011 defense show in Istanbul. Altay is due to join such recent Turkish defense industry innovations as the ANKA unmanned aerial system developed by Turkish Aerospace Industries for the Turkish military, the Hurkus basic trainer aircraft, and the MILGEM corvette ships. Mexico wall: Trump condemned over imports tax proposal! 14 Turkish navy ships missing?